Ask a Therapist: Should we do premarital counseling? Breaking up and going through a divorce is more common than ever. 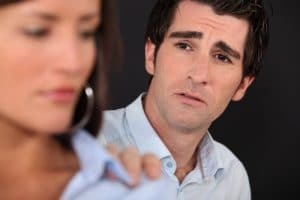 It become a quick, sometimes premature, solution when we are not feeling as happy as we’d like or as connected to our partners in our marriage. Starting your marriage off on the right foot can help you reduce your risk for divorce down the road. Premarital counseling can help you to learn the important communication skills that help keep people together through the inevitable rough patches in the life of a marriage. An excellent way to increase understanding and love between you and your partner and prepare for the ups and downs of what marriage can bring, is premarital counseling. Separation and divorce can be a distant idea when partners are not only in love with each other, but also have an awareness of how they align and how they may differ in their values and long-term needs. Marriage lasts when partners use communication skills to address conflicts while maintaining a connection, and also know how to solve all kinds of anticipated and unanticipated problems in years to come. Often in Premarital Counseling, the entire set of sessions is completed even before your wedding day, ensuring you are both ready to jump into your marriage with the tool you will need to succeed. What is the Goal of Premarital Counseling? Values around religion, spirituality, philanthropy etc. With the help of Premarital Counseling long-lasting marriage can become a happy, fulfilling, and achievable part of your relationship.